Assassin's Creed fans around the world are eaglerly awaiting confirmation of the next game, and hoping for a reveal at E3 2018. 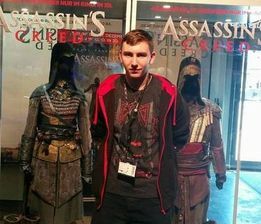 ​Another rumour has been started on the anonymous messaging board 4Chan, this time mirroring previous information regarding an upcoming project titled "Assassin's Creed Dynasty"
​The post states that the next game will in fact be called Assassin's Creed Odyssey, rather than Dynasty as was previously suggested , and will take place in Ancient Greece as previously proposed. The rumour also reveals that AC Odyssey will be officially revealed at E3 2018, there is also mention that the game is scheduled for discussion at a Ubisoft investment meeting that will apparently be taking place in two weeks. The anonymous user goes on to reveal that the game will release in March of 2019. If this is a true, it means that Ubisoft are once again taking a year off from the annual release schedule, something which could be extremely beneficial for the franchise. Naval Gameplay will be returning, with ship customisation elements making a comeback, giving players the freedom to modify and adapt their seafairing experience. The rumour proposes that players will have the option to play as a male or female character, with customisation options resembling Assassin's Creed Unity. Characters will have individual skill trees, and players will have the chance to battle Greek Mythological creatures like Cerberus. The world of Assassin's Creed Odyssey is slightly smaller than that of Assassin's Creed Origins. (Which is no surprise considering the sheer scale of Origins). Diaglogue options were considered for the game, but were ultimately cut. Regarding the timeline, the anonymous user says that the game is set to take place after Assassin's Creed Origins, but does not mention Bayek or Aya at all. What do you think about the new rumour? Are Dynasty and Odyssey the same project?